Finally. The day has come. The monsters from my mind become real. Therefore I learned how to do 3D-art last year. 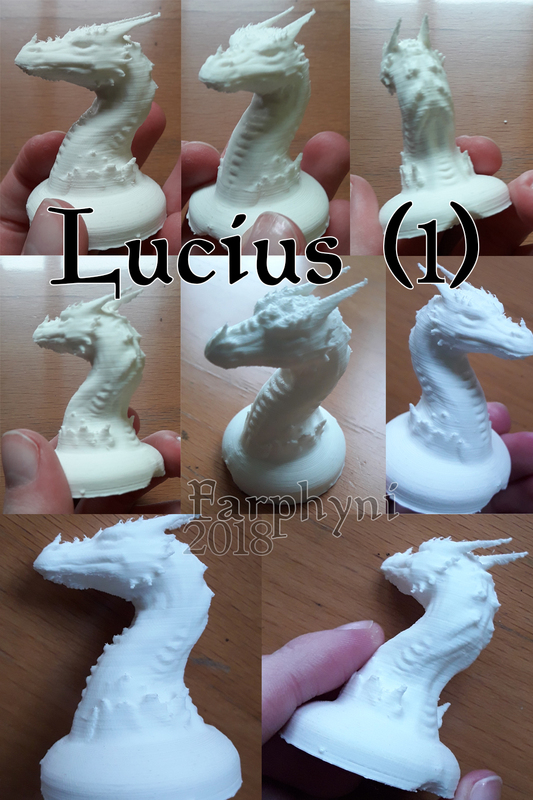 The 3D printer arrived yesterday & I did the first test print with a simple dragon bust I made last year ( I named the dragon Lucius :D). I have some very awesome stuff planned for the future and look so forward to continue my journey of 3D-art & 3D-printing. I know I’m just starting and have A LOT to learn, but I’m already super excited and am happy that it is a journey that I can do together with my older brother. From now on I’ll share some steps and most creations with you here. Stay tuned! What I love with 3d printing is that it mix 3d and modelling, I used to do a lot of these back in the past (not any more because I don’t have enough room to store finished models). Btw I would be interested to have more technical info, like the plastic used (well, I’m nearly sure it’s PLA, but just to be totally sure x)) and parameters stuff like fill density. 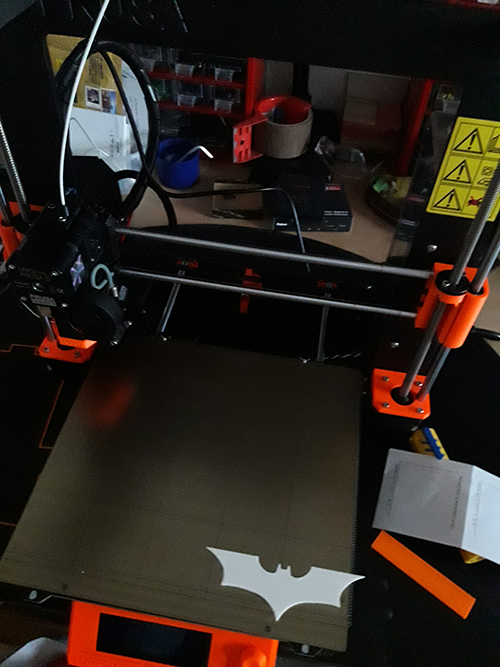 I’m interested to hear about a smooth surface – well, the surface of the prints with the highest resolution are already much smoother than this one here, but still not 100%. So any ideas on how to get it completely smooth (if that’s actually possible)? aaah, good you made a screenshot! Mhm, I’m aware of the downsides of PLA – but as I don’t plan an exterior use it should be fine. I wonder how it looks, as you’re very good in painting. Personally, when I was model-making I have always feared the painting part, because I wasn’t good at all at it, especially with paint brushes (once I’ve tested with an airbrush and it was a bit better). XDD fun fact though: beside you, it works for everybody x) still, if the problems occur again, write me on Skype or Facebook. 25 x 21 x 21 cm is the max size I can print x) so not really gigantic, but also not too small. But you also don’t have much people to test (it happens only when I want to post a comment and I usually don’t see other people commenting, beside you and Requiem. What percentage of infill are you using? As you don’t really need very high resistance in your case, you could (if you haven’t yet) cut a lot in the infill (eventually with a slightly thicker outer shell) to reduce printing time. Maybe. Currently it’s also weird – the website is loading so slow oO not sure though if that’s only for me or in general.